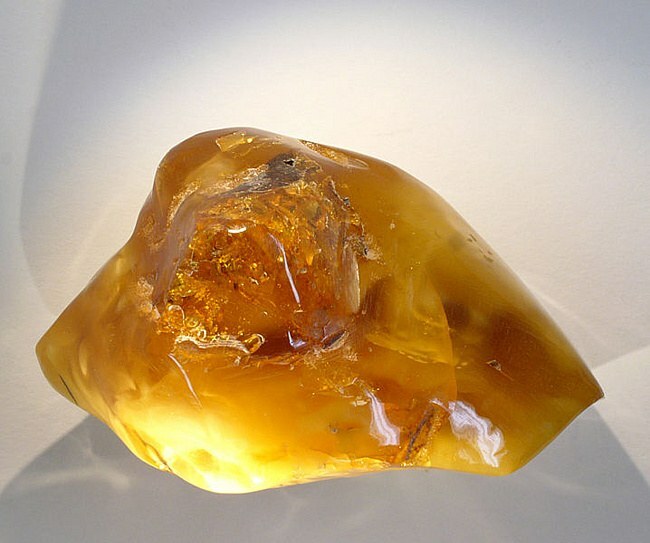 Amber is one of the oldest used by man, the precious stones. Due to the low hardness of this stone is perfectly polished and polished. Ornaments of amber are made for hundreds of thousands of years and is unlikely to ever cease to be fashionable and up to date. However, recently more and more in products from this stone across its forgery and qualitative simulation. To recognize a real amber in several ways. Make a saline solution. To do this, take 250 ml of water and stir in 10 teaspoons of salt. Dip in a solution of amber, if it will surface, it means that you have purchased is not counterfeit. Modern resin and plastic different from amber higher density, so they will sink to the bottom. Try to determine the authenticity of amber using the method of heating. Take a small sample of the product. Place in a closed test tube and heat. With the appearance of a sharp synthetic smell, you know that you have purchased plastic products. The strong aroma will indicate that the item is made of resin. Real amber gives smell of pine needles. Sometimes when buying amber jewelry can be purchased dug. Copal is a young amber, whose age is counted not in millions, but hundreds of thousands of years. Also digging can be prepared from the resins of contemporary trees. To distinguish from the real Copal amber drip drop of alcohol in the product and apply finger. If the surface is dry – amber sticky – digging. In the absence of alcohol, use acetone: pour the product and leave for 3 seconds. Then wipe a drop if you have the spot dug. Use the method of static electricity. It is most common when you choose amber jewelry. RUB amber, it needs to acquire negatively charged properties and begin to pull the various pieces, such as paper. However, many plastics have the same properties, but if the product is not "alectrosaurus", then it's fake. Notice of inclusion (inclusion) in the amber products in the form of plants or insects. Genuine amber wings of flies exposed and the imitations, the flies caught on sticky tape, already dead is filled with resin or plastic. Funny look in the product group of insects that just won't be able to get it, either by habitat or age.